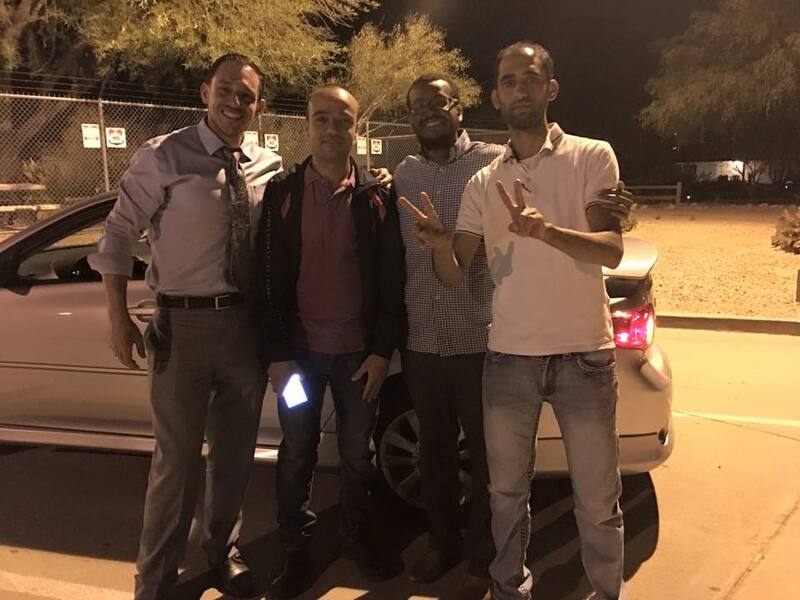 (PHOENIX, AZ, 5/27/2016) – The Arizona chapter of the Council on American Islamic-Relations of (CAIR-AZ) today applauded the decision of U.S. Immigration and Customs Enforcement (ICE) to release Palestinian asylum seeker Hisham Ghalia from his prolonged detention. In February, CAIR-AZ, along with The Law Offices of Zayed Al-Sayyed, filed a Petition for Writ of Habeas Corpus to the U.S. Government requesting Hisham’s release from the facility. Ghalia, along with Mounis Hammouda, fled Gaza under horrific conditions in 2010, traveling to Turkey, Cyprus, Venezuela, through Mexico. Both men sought asylum in the United States and surrendered themselves at the border. Ghalia, without any legal representation, chose to forgo his asylum claim after months in detention. He remained in Florence detention facility for more than a year and a half as the government unsuccessfully attempted to effectuate his removal. Hammouda was released on March 9 on bond with his asylum hearing still pending. Ghalia was kept in detention until yesterday evening when ICE authorities announced that he would be released under an order of supervision until his removal. Both men can now proceed forward with building lives and working to support themselves. If you believe your rights have been violated, you may call CAIR’s Civil Rights Department at 202-742-6420 or email civilrights@cair.com.